The Art of the Brain: "Brainbow"
A slice from the brainstem of a Brainbow transgenic mouse captured using a confocal microscope and software for image acquisition and manipulation. Credit: Jean Livet, Joshua Sanes, Jeff Lichtman. Harvard University. When I start to ponder art, science, and what distinguishes them, I immediately think of a photo that I saw several years ago of a mouse brain whose individual neurons had been genetically engineered to fluoresce in one of around 100 aquatic-looking colors - violet, blue, chartreuse, ruby, yellow, and everything in between. In a word, “Brainbow”; that is the name that biologist Jeffrey Lichtman and colleagues at Harvard gave the brilliant-brained mouse. In image of the brain stem, the blue, violet, and green neuronal fibers form Van Gogh-like whorls; in snap-shots of the hippocampus, the cell bodies and their members, axons, look like a bunch of balloons floating up and dragging their strings. A Harvard press release described the images as “equal parts pointillism, fauvism, and abstract expressionism” in 2007, when the paper describing Brainbow was published in the journal Nature. Though I would gladly put up Brainbow posters on my wall, I hesitated, at first, to call the images art; instead I placed them on the science side of a very fine, subjective line. Brainbow is a feat of genetic engineering meant to distinguish individual neurons in order to better understand the organization of the brain. The data happen to be beautiful. Are they art? 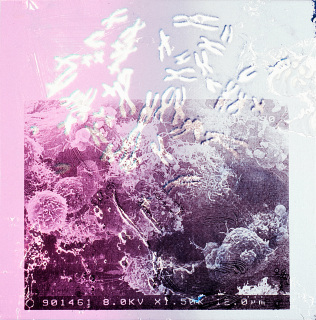 Are they SciArt? And what, if anything, distinguishes art from science when their media overlap? Though art is what fascinates me most in life, I have always respected science and been interested in it as a way of posing and answering questions. I majored in biology in college and now work as a science journalist. My concept of “answering questions” and my approach to doing it, by coming up with ideas and seeing how they hold up, are rooted in science. In the spirit of the scientific method, let’s consider some hypotheses about what distinguishes art from science. Hypothesis 1: Science is done for a scientific purpose; art, for an artistic one. I originally thought about Brainbow as science because it was created for a scientific purpose, not for art, and expected Lichtman to bolster that argument. In fact, Lichtman makes the argument that artistic and scientific purposes are equivalent. “What is the purpose of art?” Lichtman begins. I fear the answer, knowing that his, like mine, like most, will be incomplete. “What is art?” is a question that, like “Does this dress make me look fat?” I instinctively avoid answering. Yet a common symptom of art is that an artist declares it to be so. The question of intention matters, and it complicated my view of Lichtman’s work. Lichtman is a scientist, not an artist, and though the Brainbow images have appeared in museums, he did not set out to make Art. Lichtman’s work was beautiful sort of by accident, as a byproduct of his scientific project. Art, on the other hand, looks as it does because artists plan it that way, doesn’t it? Similar to the way that the pollen on the floor represents a larger concept, the Brainbow images are the result of the idea to label all the neurons in different colors. Perhaps they could be called conceptual art. Conclusion: The distinction of purpose becomes blurry. Hypothesis 2: Science uses a prescribed method. Art does not. My ready answer to the question of what distinguishes art from science is that scientific data come from experiments, which in turn are designed according to the scientific method. The scientific method, taught to me in elementary school and reinforced throughout my scientific studies, is the following: you come up with an idea about how you think something works or what something does, a hypothesis; you design an experiment to test that hypothesis, in which you compare two cases differing only by that one factor, the variable; you and/or others then repeat to make sure the results hold up. I later realized, though, that this is not the entirety of the scientific method, as I’ll soon explain. Art, it seems to be, does not operate in this way. For one thing, it doesn’t require an artist to repeat the same work many times before viewers will see truth in it. An artist can portray a unique situation - say, a worried mother in the Dust Bowl - with one iconic photograph, and people will interpret that photograph as a sign of the hardships of that time and place, without doing some kind of absurd test to make sure that the woman wasn’t depressed even when well fed and comfortable. Dorothea Lange’s Migrant Mother implies all sorts of things but doesn’t prove them. A scientist could not draw conclusions from a single photograph the way people do from individual works of art. (For the record, Dorothea Lange took multiple photographs of Florence Owens Thompson and her children and who knows how many photos of other subjects beyond the one photograph that became famous.) Unlike science, art doesn’t prove or explain things; art just documents the world and expresses views, ideas, beliefs. used chance operations in composing music, and when the music and dance came together for the first time, often in the performance, the combination of dance and music was a matter of coincidence. The literary group Oulipo (“ou- vroir de littérature potentielle” or workshop of potential literature) is a group of writers who create literature by using sets of constraints, often from mathematics. For example, Oulipo member Georges Perec built a novel, Life A User’s Manual, on the basis of exploring an imaginary apartment block of 100 rooms, one room per chapter, with the order of rooms determined by a chess puzzle, the Knight’s Tour. Perec also wrote a novel without using the letter e. The list could go on. Though I can’t know, I imagine that most artists have some kind of method, routine, guiding principles. Beyond the problem that artists have methods is the fact that not all science follows the method of hypothesis testing I described. In fact, Brainbow - a tool for observing the structure of the brain, a way to gather information - is not really part of a particular, hypothesis- driven experiment, at least not yet. I bring up that point with Lichtman, expecting him to explain how Brainbow is, in fact, designed to test some hypothesis. That’s not at all what he says. Hypothesis testing, otherwise known as deductive reasoning, is just one branch of the scientific method, he then reminds me. Inductive reasoning, he tells me, is another way of doing science and works in a very different way. “Many of the great discoveries in science have come about through inductive reasoning, which is just the opposite. You don’t start with a hypothesis. What you do is you start with observation, and then at the end of observing a lot of things, you formulate a hypothesis based on the observations. Once you have the hypothesis, then you can go ahead and do a deductive test of it, but you do this kind of data gathering, and during the data gathering, something occurs, some regularity appears that joins a lot of results together.” Darwin’s observations about related animal species, data from the Hubble Space Telescope, the sequence of the human genome, Lichtman says, are all examples of information gathering that led to the creation of hypotheses by induction. “Brainbow definitely falls, at the moment, into the inductive side, where it reveals what is but does not explain why; it’s not a hypothesis tester, it’s a hypothesis generator.” This quality of “showing without explaining” is just what I was trying to describe about the “Migrant Mother” photo. Both kinds of reasoning, deductive and inductive, are very old, and people disagree about which type is superior, Lichtman adds. Philosopher Karl Popper, for example, argued against inductive reasoning in favor of coming up with hypotheses that, though they could never be proven to be absolutely true - an exception to a proposed rule might crop up in the future - could be proven false. Which brings me to my conclusion. Conclusion: False because artists have methods and because not all science follows one prescribed method. Beyond hypothesis testing (deductive reasoning), inductive reasoning is a second method of doing science, and in its reliance on description and observation, it has much in common with art. Hypothesis 3: Science simplifies things. Art renders their complexity. Part of the thrill of going to a museum, one that has risen to the level of cliché, is staring at an image and wondering what it means, seeing new things in it. When you watch a play, you want the characters to remain somewhat unknowable; you want to go home still trying to figure them out. 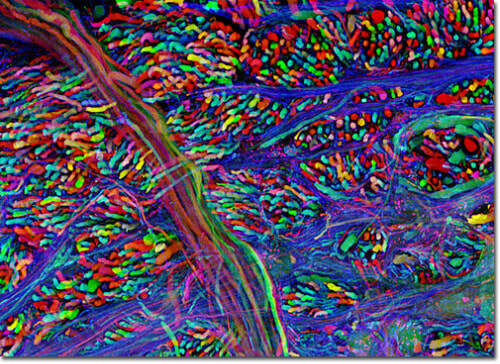 Looking at a Brainbow image as art, one might say that it represents the complexity of the brain. Hypothesis testing focuses less on the world’s holistic mystery, the great unknown, and rather, starts with what little is known and tries to increase that knowledge bit by incremental bit. In my experience, scientists get satisfaction out of knowing, with some degree of certainty, how something works, even if it’s something very tiny. Individual experiments are rather simple by design: changing only one variable at a time to figure out what something does; comparing two mice that differ only by a single mutation, for example. True, few mice outside the lab, barring some identical twins, differ by only one mutation, and what we know about mice is certainly an approximation of the way human biology works - yet it is one of the best approximations we have and one very well suited to scientific experiments. I am often taken aback when people opine that an explanation is “cartoonish,” usually in social or political contexts, that it’s too simple. Explanations are supposed to be simple, the biologist in me wants to retort. I think back to the scientific papers I’ve read, the undergrad thesis I wrote, which along with graphs and photographs of data included little computer graphics, in black boxes, explaining how the experiments work or describing a cascade of molecular signals, with the molecules represented by little ovals and squares. These diagrams are meant to be cartoonish and, on some level, so are experiments: despite the world’s messiness, they are supposed to be simple and explainable, a neat corner to take stock in. Conclusion: False because science can appreciate complexity, too. Hypothesis 4: In science, there is some notion of right and wrong. Art is just art. to know things absolutely and say that certain things are not true, that others are very likely to be true. Though there are debates in science, they are debates over experiments and what the experiments prove or don’t prove. Though there’s uncertainty associated with all results, uncertainty in science is something that statistics has quantified, not just a feeling of doubt. In science, people respect experiments as ways of getting information. Science seems to be one of the few places where absolute judgments hold sway. Outside science, everything is up for debate, particularly in the digital age, when so-called facts are readily available to argue for both sides of any question and people decide what they believe base on factors that may or may not include the relevant experiments. The words “right and wrong” just don’t fit in the realm of art. They seem like foreign concepts. When I think about art, I turn away from logic and toward association; I use instinct and feeling more than reasoning. This is one hypothesis that may have some truth in it: In art, there is no right and wrong; In science, there is, well, wrong. Despite my respect for experiments, I start to believe that in trying to understand something about art and science, hypothesis making is not the best approach. My deductive reasoning left me with a bunch of wrong answers, and while that’s nice, concrete information and all, it’s not particularly satisfying. I start to feel, as Lichtman does about the brain, that this is a subject that hypotheses, at least mine, are not up to the task of explaining. I first contacted Lichtman specifically to ask how he chose the colors for Brainbow. I knew, from some research about microscopy, that in some cases, the colors you see are arbitrarily assigned to particular wavelengths of fluorescence that the microscope detects. They aren’t simply photographs of the fluorescence itself. It seemed to me that using false colors would tip the scales toward art. My unspoken hypothesis: Science (always) deals with reality. Art does not (always). Lichtman’s response was that my questions were not straightforward and suggested that we talk on the phone. The problem with that question is that all colors are false, in a way: they are assigned by the brain. Lichtman explains that, the microscope he used to photograph samples from Brainbow neuronal tissue detects three wavelengths of light, or ranges of wavelengths, representing three colors: green, red, and blue. Based on the relative intensities of the three wavelengths, a color is assigned to a particular pixel of the image. That might sound artificial, and maybe it is, in a way. It’s not, however, unnatural: it’s the way the human eye perceives color. In the eye, there are three kinds of cone photoreceptors for detecting color: one that responds most strongly to green light, one to red light, one to blue light. The hue we see depends on the relative stimulation of the three different photoreceptor types. Then he says something that makes it clear why, fundamentally, the distinction between art and science is so difficult. It deals with the nature of reality. Despite all the exceptions, and the imagination required to come up with hypotheses about the unknown, we think of science as being grounded in reality. Despite photography and other reality-based forms, we associate art with creativity and the imagination. But every image we see is presented to us by our brains. It’s all some degree of imagination. of reality. I spend so much of my time thinking about how artists reconstruct, portray, and evoke reality, but neuroscience tells us that reality, itself, is reconstructed, portrayed, evoked by the brain. It is the art of perception.